Friends, it’s my pleasure to share about our new donor Nandini Maharaj, who has donated lot of books of her childhood. Instead of donating these books to blue pen kids, Blue created and nicknamed them as ‘Nandini’s Blue Pen Library’, which started issuing this books to Blue Pen kids for one week. Borrowing kid, while returning book back to Library, needs to discuss about content of book in front of other Blue Pen kids. 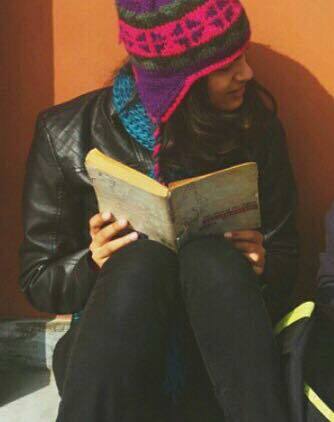 Born in Civil services family, Nandini Maharaj has done BA (Hons) History from Lady Shri Ram college. Later she did MA in Applied Human Rights from Sheffield Hallam University. She is Kapila Hingorani Scholar. Her Father Mr Raj Kimar Maharaj is PMG (91 batch), Delhi while mother Mrs Suchitra Sharma is Principal Commissioner (GST) in Delhi. Friends,We all need to appreciate that there is no joy greater than “joy of giving”. While we r enjoying cosy homes in this chilling winter and enjoy decent lifestyles full of warmth, there r thousands of unfortunate deprived ones on streets, who cant afford any shelter and are left with no option but to shiver whole night without blanket. I would request all viewers to come forward and use distribution network of Blue Pen to donate New/Old items like Toys, Blankets for upcoming winters, Toys, Clothes, School Bags or other Daily utility items, for our Flyover/Slum kids/Women. 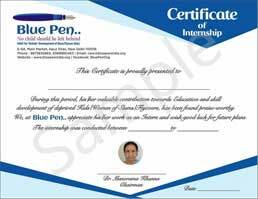 Blue Pen provides best way of celebrating Birthday/Anniversaries of your and Dear ones. It will be great if Donor himself comes and donate by hand, else Blue Pen also provides facility of picking up this stuff from your home and distribute it on your behalf.